Tickets may be ordered online or by phone at 604.876.3434. If you have any questions regarding A Symphony of Style please call us or email volunteer@vancouversymphony.ca. Save the date! 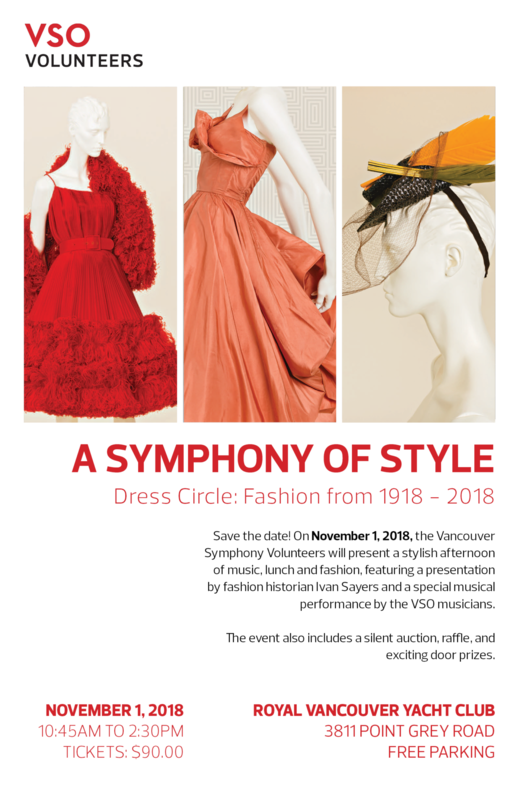 On November 1, 2018, the Vancouver Symphony Volunteers will present a stylish afternoon of music, lunch and fashion, featuring a presentation by fashion historian Ivan Sayers and a special musical performance by the VSO musicians. The event also includes a silent auction, raffle, and exciting door prizes.